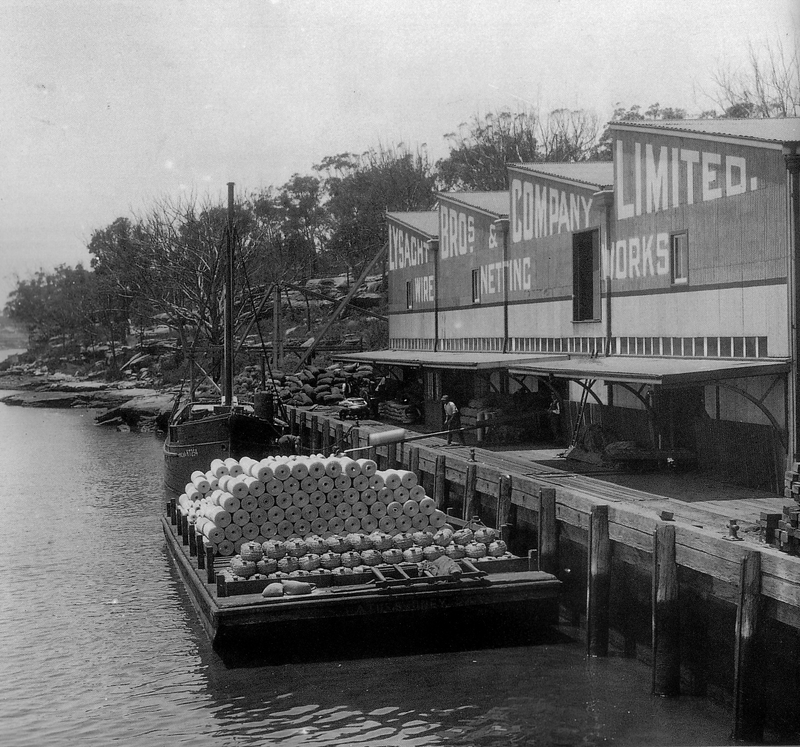 The Sydney Wiremill was established by Lysaght Bros & Co on the Parramatta River at Chiswick in 1884. While a range of wire products were produced at the factory, there was a huge demand for wire netting for fences as rabbits had reached plague proportions in agricultural areas in the late nineteenth and early twentieth centuries. Steamships brought the wire feed from Germany to Sydney where it was unloaded onto barges before being transported along the Parramatta River to the Wiremill. The raw materials were then pushed on trolleys along rails to the machines at the top of the ridge. The factory layout utilised gravity to assist in the transfer of materials through various processes and bringing the finished products back down to the wharf for dispatch. The wire making looms were powered by steam produced on the site prior to electricity being used. Following the opening of the BHP Steelworks at Newcastle in 1915, Sydney Wiremill replaced imported steel rods with BHP steel. By 1925 the factory was consuming over 35,000 tonnes of steel annually. The size of the labour force reached a peak of 1,300 in the 1930s at a time when jobs were scarce. The Sydney Wiremill became a subsidiary of BHP which operated it until December 1998 when the factory closed. 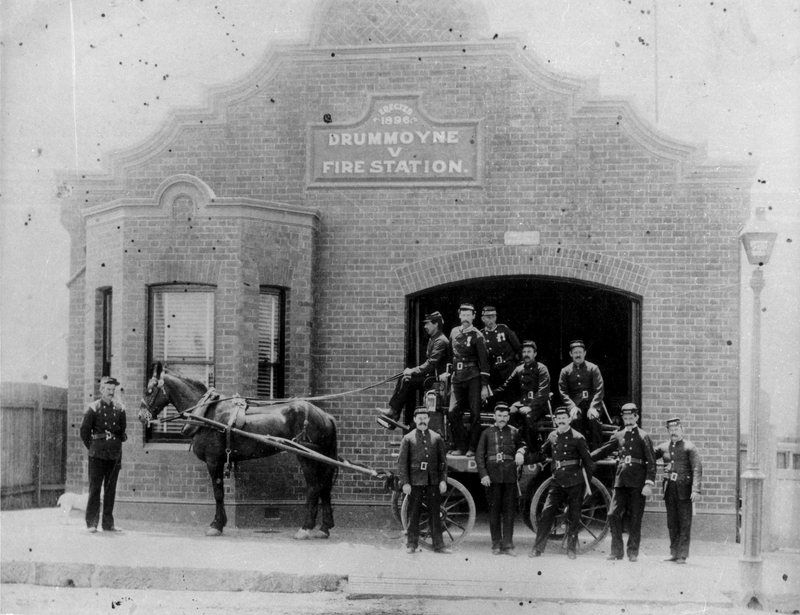 The Drummoyne Volunteer Fire Brigade had modest beginnings in 1892. It occupied rented premises (basically a wooden shed) on Cambridge Street which was later renamed Bridge Street and today forms part of Victoria Road. There were five volunteer members and one hand pulled hose reel. The first fire which the brigade responded to was on the 12th December 1892, when a weatherboard summer house in Lyons Road burned down as a result of ‘children playing with matches’. In 1896 the brigade was able to purchase the Cambridge Street site and built a small brick station. In 1898 a horse drawn manual engine was acquired, as shown in the photograph above. The present station on Lyons Road, Drummoyne was completed and occupied on 30th June 1910.